A surgical procedure that was virtually abandoned in the 1950s because of its high mortality rates in trying to save patients with acute pulmonary embolism may actually prevent more deaths in severely ill patients than current drug therapies alone, according to a new analysis of cases conducted in the North Shore-LIJ Health System over the past decade. The high death rates associated with the surgery - 32 percent based on more than two dozen studies conducted between 1961 and 1984 - has made pulmonary embolectomy a hard sell. 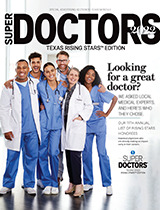 But safer techniques have led to better outcomes, and surgeons continue to take their most seriously ill patients into the operating room. Alan R. Hartman, MD, chair of cardiovascular and thoracic surgery at North Shore-LIJ, and his colleagues conducted a retrospective review of data from cases conducted in the health system that had been submitted to the New York State Cardiac Surgery Reporting System and the Society of Thoracic Surgeons. Thirteen surgeons in three of the health system's largest hospitals brought 96 patients into their operating rooms over a consecutive nine-year period. Eight of those surgeons had more than 15 years experience in cardiothoracic medicine. There are some people who arrive to the emergency room in intermediate stages who can't take thrombolytic therapy. According to Dr. Hartman and his colleagues, they would benefit from acute pulmonary embolectomy. The health system surgeons identified patients who would have gone into shock had they not been taken into surgery. Those who benefited most were patients with significant RV dysfunction but with normal blood pressure.